A community-sponsored, volunteer emergency medical service that has served the community since 1970. The Shark River Hills First Aid Squad is made up of a few dozen hard-working, dedicated community members who want to do their part in the community. 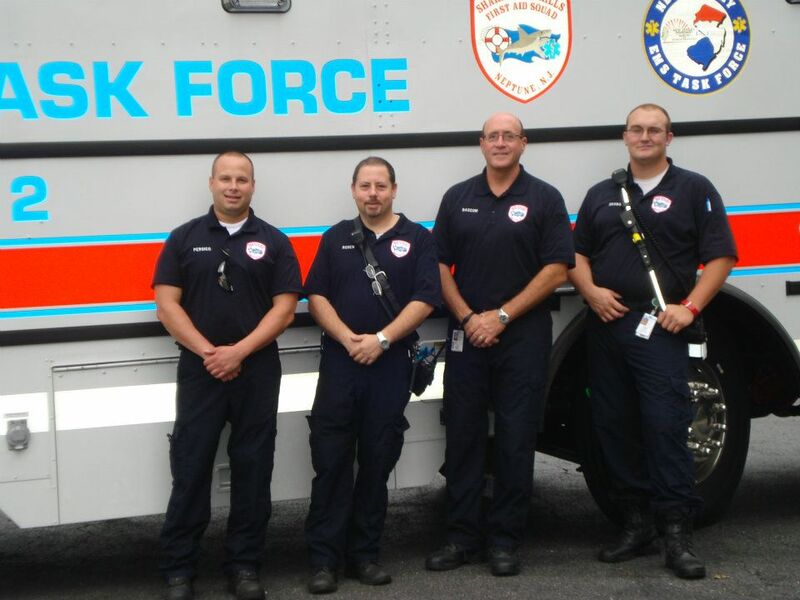 The Shark River Hills First Aid Squad is made up of a few dozen hard-working, dedicated community members who want to do their part in the community. We are business people, parents, housewives, medical professionals, secretaries, students, tradesmen and women. We are your friends and neighbors. Our primary goal is to provide exceptional emergency medical care to the residents of and visitors to Shark River Hills and the rest of Neptune Township whenever and wherever the need arises. We also strive to make our community a better place to live. For many years, we have sponsored the “Halloween Safe House” for the children of the area in October. We have visited Township schools to provide safety information and education to our children. We regularly provide coverage to local events such as Neptune Day, soccer tournaments, marathons, 5K runs, football games, and much more. We have proudly responded to medical emergencies as well as state and national disasters throughout the metropolitan area over the years. These are just a few of the things that our Squad is proud to be involved in. We hope that in visiting our site, you will consider becoming a part of our successful and vital team or finding a way to support our efforts. Come join the Shark River Hills First Aid Squad. Read below to learn about what you'll do and benefits we provide to our team. 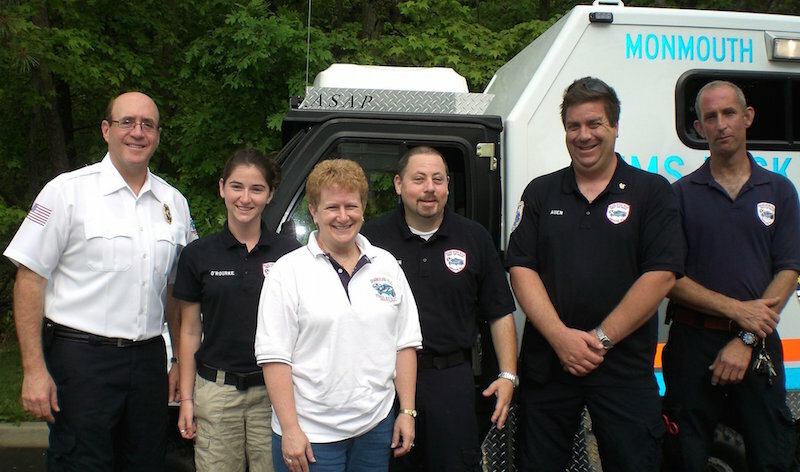 The Shark River Hills First Aid Squad is a community-based organization. Our goal is to aid our wonderful community, and to do that we rely on membership from people in our community. People like you. There are many reasons to join us on the squad. Join us and become part of history. We're not just work and no play. There are many opportunities to have fun with our wonderful team, including parties, BBQs, fundraisers, and many more. Specialized training, including mass casualty response, water rescue, confined space rescue, incident command, vehicle extrication, terror response and much more! There are other benefits to working on the squad. We look after our members. Below are some of the ways we help our team and say thank you to our volunteers. Each summer, squad members receive free admission to the County Fair from the Board Of Freeholders. Neptune Township participates in the LOSAP (Length of Service Awards Program) where members of the volunteer squad earn retirement credits based on their level of participation. This money is held in a retirement account that is invested based on your direction, and is payable to you upon retirement age. Neptune Township has an ordinance in place that exempts members of the volunteer organizations from paying many municipal fees, like building, electrical and garage sale permits. $600.00 per semester Tuition credit at local Community Colleges. Being a member of the squad means that you'll be responding to emergencies. But medical emergencies aren't the only time you're helping people. Below are some of the things you can expect during time on the squad. Cadet membership is open to any Shark River Hills or adjacent area resident between the ages of 16 and 18; Regular membership is open to any Shark River Hills or adjacent area resident over the age of 18. 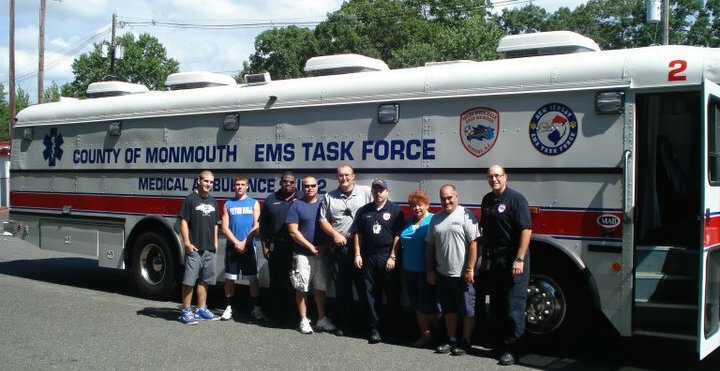 All training, CPR and EMT, are fully funded by the State of New Jersey and the Shark River Hills First Aid Squad. There is no cost to you. You can take that training and turn it in to a career opportunity. Many of our members have gone on to become paid EMTs with ambulance services and municipalities. We have members who have gone even further, and have become Paramedics, Nurses, Physicians, and Physician Assistants, just from starting out as a volunteer first aider. Medical careers are not the only careers spawned from community service such as membership in our squad, we have members who have become public leaders, private company leaders, educators, and so much more, all after pledging their support to the community by joining our first aid squad. Anyone joining the squad shall become CPR certified (Healthcare Provider level) and EMT certified (or enrolled in the EMT class) within one year. Members are responsible for maintaining their certifications, but shall bear no financial cost for this. We also have a membership category for Associate members. These are community members that are interested in working with the squad on business and fund raising issues, but are not interested in provide emergency medical care. Read more about becoming a member of the Shark River Hills First Aid Squad, Inc.